What do you need to push your brand forward? Often times, it’s the simplest things that can cause a huge impact on how you look at the world or make a decision. The spark you need to ignite your next bold move can be found right here! It’s time for another session of Ask Scott on this episode of The Amazing Seller. You’ll hear Scott share his thought of the week, how to connect with groups and trends before you pick a product, whether using Google Adwords is a good or not, and a lot more! You don’t want to miss out on this fascinating and informative episode! You got into ecommerce selling to find financial success and freedom, right? In light of the focus on financial success and monetary profit, you can lose sight of the valuable lessons you learn along the way that doesn’t have a dollar value attached to them. On this episode of The Amazing Seller, Scott opens up about the lessons he has learned on his journey toward success. Scott’s lessons haven’t always been positive but he has been able to come away with valuable insights that have led him to the level of success he enjoys today. What lessons can you learn from? Discover more on this topic from Scott on this episode! Don’t you want your next product to be the one that catches on and really helps you build a solid brand? What can you do right now to start moving in that direction? On this episode of The Amazing Seller, Scott explains how sellers like you can leverage several resources to get an idea of where to focus your energy in hopes of hitting a home run with a new product. The first place Scott encourages sellers to start is on Amazon, take a look at what categories are the most popular, which ones have the most reviews? When you identify these areas, you have a good place to start your product research. Find out what other helpful resources are out there for sellers like you to get started – listen to this episode to find out! Google Adwords, is it worth it? As a business leader, you want to take every step to put your business in the best position. How have you kept your advertising strategy competitive? Have you pushed the envelope and looked at all of your options? On this episode of The Amazing Seller, Scott provides his throughs on utilizing resources like Google Adwords. At this point, Scott encourages sellers like you to avoid using Google Adwords. If you follow Scott’s advice, he points you to using Facebook Ads or connecting with a Social Media influencer to start getting the word out and to grow the reach of your brand. To hear Scott expand on this topic and much more, make sure to catch this episode! [2:30] Scott’s Thought of the Week. [8:00] Question #1: How do you research trends that you can capitalize on? [20:00] Question #2: How can I use Google Adwords to promote my brand? [26:30] Question #3: When is the inventory placement program beneficial to use? …I want to welcome you. I want shake your hand virtually here and say welcome. This is what we do on Friday’s. I actually listen to questions, generally three to four questions and then I go ahead and I give my opinions, my advice, my thoughts. It’s like us sitting down in that coffee shop having that conversation. Today, we’re going to do that and we’re going to be talking about three different questions right now just to give you a little bit of an idea of what we’re going to be talking about here on this session. Number one is testing products fast, the other one is Google ad words and if you don’t know what Google ad words is it’s a ad platform on Google. Then also we’re going to talk about inventory placement. Those are the three main things we’re going to be talking about before we jump into those questions. You guys know I like to do a couple of things here. Number one, I like to remind you that you can ask your own question and maybe have it aired on an upcoming Ask Scott session by heading over to theamazingseller.com/ask and just record a brief message there. The only thing I do ask is that you leave your first name. If you want to leave where you’re tuning in from that would be cool too and then from there your brief question and I will possibly listen to it and then air it at an upcoming show. 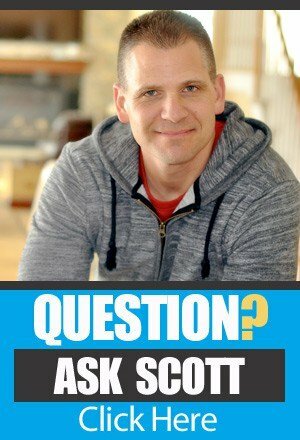 Definitely, definitely do that and keep coming back and you can listen and see if one of your questions has been answered and there is always a bunch of great questions that we talk about here on this Ask Scott session on this Friday edition. The other thing I wanted to do and I talk about if you’re brand new. If you are brand new just starting and maybe you just started listening to the podcast maybe you’re a binge listener. [00:02:04] Scott: I get a lot of you that say, “Scott, I’ve been listening for days and hours, just going through six, eight, ten different episodes a day.” If that is you and you’re a little overwhelmed because there is a lot of things to do there, I do a live workshop where I actually break down five phases actually to picking your product, sourcing, launching, doing everything in between on a workshop. I condense it down into about 90 minutes. If you want to attend that head over to theamazingseller.com/workshop, you can register for an upcoming one there. Then the other thing that I always like to do here is talk about my thought of the week. This one here really hit me because I thought of it like this but I didn’t ever hear it I guess phrased like this and I forget where I heard it from to be honest with you. It just stuck in my head that I’m thinking about everyone is talking about profit, like money. I want to make money, I want to profit, I want to start this business and start bringing in some revenue but then start profiting as fast as possible. My thing is we can’t go within this business with the mindset that we’re automatically going to profit financially. That’s what we want I get it. I get a lot of you saying, “Scott, but I just want to make my first $1,000 or I want to make my first $1.” I get it and that’s validation that this thing actually works for you. A lot of people don’t realize that as you’re learning, as you’re growing, even if you’re not making a “profit” financially by receiving a dollar that’s earned, you’re always profiting by the lessons that you learn going through this process. You have to switch your mindset and think for a second what have you learned by going through the process? [00:04:01] Scott: So many people say, “Scott I failed, I went out there I tried this thing and I failed and I just didn’t succeed. 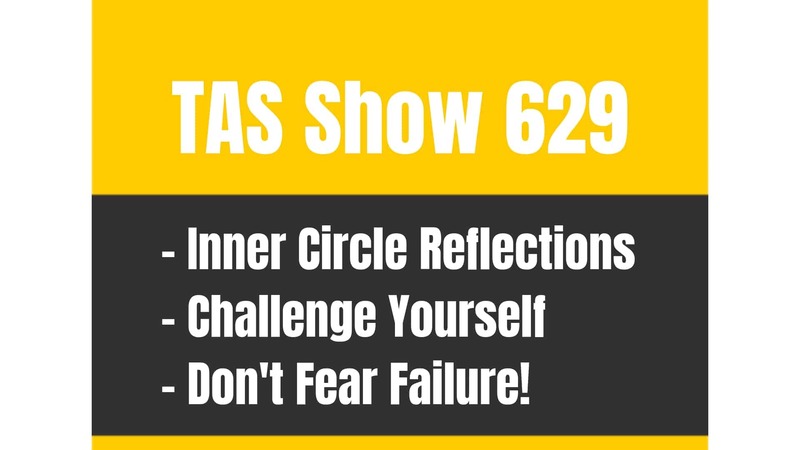 I’m a failure.” Or, “I don’t want to do this because I don’t want to fail.” My answer is always, did you really fail or are you really afraid that you’re going to fail because if you are, you’re not thinking about the entire picture.” Do you realize that when you do something, you put something in motion okay and you start to get a result whether it’s positive or negative you’re going to be able to learn from that. That to me is profit currency, this is where we are able to have this knowledge, I should say knowledge not profit currency. Well, money is currency but you get what I’m saying. I like to look at that as like knowledge that is profit currency. It’s like you profited from that experience just not in money in dollars and cents, but you did within those lessons that you’ve learned. Failures are and I don’t even like to say failures but let’s just call it like everyone calls it failure. Let’s say something that didn’t work, it was a failure to you but you have to think about that you profited from that experience because you learned so much. All right even if you picked a product right now and you started selling it and it was doing well and then it stopped doing well because a whole bunch of people came in and sold the same exact thing and you just went in there and just basically slapped your logo on something, you didn’t really differentiate yourself and that was your problem. But you learned through that process, so then you liquidate that you move on to a different product. You’re smarter, you’re wiser, you know the process better, you know what you would do differently. Those are things that you have to take and bring into your next business or your next product or whatever. Those things I learned in the photography business for me running a photography business for over 10 years with my wife. I learned so much from that I brought into my online businesses and physical products businesses and how to deal with customers and how to be a better business owner. [00:06:04] Scott: I learned from my father’s business that I was in the construction field for over 10 years growing up in that. I seen partnerships. I seen what I liked, I learned so much. Did I fail because I worked for my father’s company and I thought I was going to own this company and I put blood, sweat and tears into this? I missed some of my child’s first events in their life because I was building a company for my father’s business that I thought I was going to one day own and now I don’t own it. Am I a failure because I didn’t get that that, I didn’t get that end result that I thought I was going to do that I was going to be able to be rewarded for in the end? Am I a failure because of that? Heck no, I learned so much through that experience. I’m a better person because of it. I appreciate life more so now than I ever have. I also learned about business and I learned mistakes that they did that I was able to witness that I’m going to do differently. All those things that I’ve tried in there with dealing with people that work for you, employees I know how I would deal with them differently. I know I would make sure that they knew that I was there for them so they would work harder for me and be rewarded if they did. There is a whole bunch of things that you learn through this process. I know I’m going on a little bit of a rant here but I have to because I think people don’t look at the experience that you’re gaining from anything that you do is technically profit. It’s just a different form of profit. You gained something that’s your profit. Just wanted to throw that out there. That was my thought of the week, wanted to go ahead and share that with you. Hopefully you guys are cool with that and hopefully you think about this a little bit differently. Guys let’s go ahead and let’s get going here. Let’s get rocking and rolling, let’s go ahead and listen to this week’s first question and I’ll give you my answer. Let’s do this. [00:08:01] Jason: Hey Scott, my name is Jason. I’ve been listening to your podcast for a while now. I really like your approach but I had a quick question for you. The process that you describe seems to be product first and I’m wondering how that process would change if you were to start with a following in a niche say Facebook fan page, without a product to sell. How would you find that product to sell? I’ve heard people talk about using Amazon affiliate links as part of your content to that fan page and then you can look at what they’re clicking on when they click through those affiliate links, what other products that they’re clicking on and buying and get product data that way. I’d like to hear your thoughts on that and if there is anything else that you would suggest like I said if you’re starting from a following without a product in mind. Thanks, look forward to hearing from you. [00:08:56] Scott: Hey Jason thank you so much for the question and I love, love this question and really what we’re talking about is how do you go out there and figure out what people are willing to buy right now without you necessarily having to have a product. Well number one, we know that Amazon is a great tool for doing this. That’s why we like to start on Amazon and we like to see what products we are selling before we actually make that leap or we make that decision to go ahead and give it a try because they’ve proven that there is people buying these products. What you’re suggesting and I think it’s interesting and I think it’s a good idea. There is going to be some work involved here unless you can tap into someone else’s audience. Really what you’re talking about here Jason and anyone else listening is we’re talking about building up a community of people or finding a community of people or heck going out there and buying a website right now which that’s another option. Now I haven’t talked too too much about that. 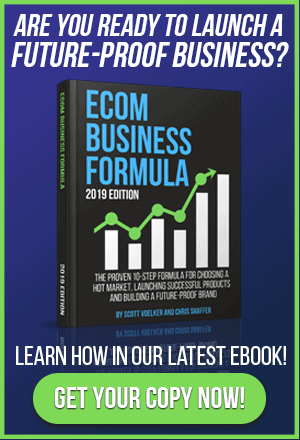 I had Justin Cooke on from Empire Flippers and they sell websites that are generating traffic that are generating affiliate sales through Amazon or other maybe even other sources like click bank or even eBay, who knows. Amazon, eBay both of them will allow you to do this at least the last I checked eBay does. Amazon definitely does and it’s what they call their associates program and we can you can sign up for it, I can sign up for it. [00:10:58] Scott: I have, anyone can sign up for it and then basically you can share a link that has tracking on it that if you sell a product or if you share that link with someone or an audience and they buy that product you will get a percentage of that sale. They’ll pay you, Amazon will pay you. Now, they’re not going to pay you much. They’re going to pay you I think it’s like 4% right now if you’re just starting. Then depending on how much volume you do in sales that will increase and that can go up as high as I think 7% maybe 8% somewhere in there. I haven’t looked into it to be honest with you. It used to be up to 8% but you had to be doing a ton of volume. The cool thing about this is number one it’s a 24 hour tracking cookie they call it. I don’t want too get to technical here and I’m not really the tech guy but I do know about tracking and I know that it’s called a cookie. It’s basically something that’s placed on that person’s computer, not bad in a bad way. It just tracks them so this way here you would get credit for it. If let’s say for example someone was having a cooking blog or something and they went ahead and they shared that they were using a garlic press. Then I clicked on that garlic press it took me over to Amazon and then from there if I bought that garlic press within 24 hours, I would get 4% of that sale. Now, the other thing that’s pretty cool about this is Amazon does this as well. Once they click over from my link and now they’re into Amazon’s platform, if they don’t buy my garlic press but they end up checking out that day in that 24 hour window. If I’m the last link that they came from outside of Amazon, I will get credit for everything that’s in their shopping cart. Let’s say they had a $1,200 digital SLR camera in that shopping cart. [00:12:55] Scott: They had some gifts for other people. Maybe they had I don’t know a fire HD stick or whatever they’re calling them now. Let’s say I had those things in there it was like a $2,000 order. I would get 4% of that sale. It’s not just on the one product that led them there it’s you getting them there it’s really how that works. At least the time that I’m recording this that’s how it works. To me it’s going to take a lot of traffic, it’s going to take a lot of you putting out little links and products and stuff to test this to really make a good solid income from that. It’s questionable, it’s not going to be predictable and actually Chris Guthrie some of you may or may not know from Sales Backer a good friend of mine, he published years ago that he made, I say made. He generated a million dollars in affiliate sales through basically creating a review type site and then people would go there they would look at different comparisons and then they would click on one of the products and lead them over there. Then he ended up generating over a million dollars so out of that million I think he was, he took home over gosh I don’t know. It was over $100,000. I’m pretty sure that was the number but that’s basically how that works. I just wanted to get you caught up on how that works. Where this could be interesting, a couple of different things, let’s say for example you already have a Facebook page or a Facebook group and you know that let’s say fishing. Let’s go into the fishing thing again here. I’m going to sound stupid because I’m going to make some references to some fishing stuff and you guys are going to say, “Scott has no idea about fishing.” I do fish and I like fishing, I used to with my father and stuff but really basic. I’m not that much of a fisherman. Let’s just say for example I wanted to see if this certain fishing tackle box was something that my audience liked. [00:14:54] Scott: I could use my associate’s link, I could put it on my Facebook fan page or my group or my email list. I could send my email list, that’s another reason why an email list building in a market is pretty powerful. I can drive them to a post that I wrote about this tackle box or maybe five tackle boxes that I’m considering buying and why this one is better than this one and this one is good and all that stuff. If someone clicks on that link they’re going to go through and buy and I can track that, I can see how many clicks I’ve received. I can see how many sales I’ve received. There is two things that this will do for us. Number one it will see if there is people actually interested in this type of product. Then the other thing that it will do is it will let us know that they’re not just interested but they bought it. We actually did this on our new brand where there was a component, a different accessory that we don’t sell and it was part of our tutorial and we threw a link in there just to see what would happen. I think we had over 700 clicks. We might have sold 25 or 30 of these things. Now we didn’t make a ton of money but it made us aware of this product and that we technically could probably private label it. Now we’re not going to, there is a little bit of a liability reason why we wouldn’t want to sell it, but there is no reason for us not to send people to someone else’s product if it’s not competing with our own. That’s another thing and I know I’m going off on a bunch of different areas right here, but this question brings up a really good discussion because if you have an email list in a certain market or maybe a Facebook fan page or a group or Instagram, any of that stuff you can test offers and they don’t have to be your products. You could test a product today if you want to and then this way here you’re going to get that intelligence of the market and then that can say you know what I’m going to do this because I know my market. Once it’s in it’s going to help me boost my sales on Amazon. I’m going to start to rank better and all that fun stuff. You totally, totally can do that. Now if you don’t have an audience you might see someone that has an audience that isn’t monetizing, isn’t taking advantage of their audience and that sounds bad… Taking advantage of having an audience. Not taking advantage of them I would never say that. Giving them products that they could be potentially interested in to help them in their markets. That’s really what I’m trying to say. Then maybe you can have a little bit of a partnership there too or you might just want to say, “Hey, can I send this stuff out? I’m testing out these products to see if people want them.” That way there you can get the data but I think the best thing is if you’re going into a market that you know you’re going to be building a brand inside of, you are going to want to do something like this. I think you can test products really, really quickly. Going back to if you wanted to go out there and buy a website right now and you wanted to see if you could find a website that had traffic. It had organic traffic right now so people on Google were finding it and this website all they were doing was they were monetizing the website or the blog, or the YouTube channel or whatever. They were doing it by being an associate for Amazon products. The cool thing is here is we could buy that website and probably get it for a reduced price because they’re only going to base the price on the current review. If you were to be an Amazon affiliate, associate whatever you want to call it. You’re only going to make 4% to 8%. Let’s say for example they are making $1,000 a month you might be able to buy that website for 10 grand. If you can buy that for 10 grand that $1,000 that they’re generating because that’s a lot of products that they’re selling through there and they’re only getting paid 4%. If you could private label one or two of those products you can instantly go to 4% to 30% or 50% margin. [00:19:00] Scott: You see what I’m saying because you could switch out those products with your own because you have the traffic. It’s been proven they’ve already bought the products. Again this is probably another topic I should probably dig into a little bit more. I’ve looked at doing that and it’s I’ve always got my eyes and ears open for an opportunity like that just one hasn’t hit me. I also had decided probably about six to seven months ago now that I’m going to take all of my energy right this second and put it towards our new brand and build up something that is bigger even just going out there and finding something that I could tap into and make another revenue stream out of. Anyway I went on a little bit of not a rant but just a deep discussion I guess which I wasn’t planning on, but that’s how it works. Yes, Jason I think it’s a great opportunity but there are some things you need to consider or you need to think about where you are in this game and also going out there if you’re not already currently building this. If you’re going to take the time and the money and the resources to build something, you need to make sure that you’re going to probably want to stay in that market one way or another. If not you’re going to want to tap into someone else’s audience. Hopefully that helped, hopefully I didn’t make your brain hurt because there is a lot I went over there but it is food for thought. It’s definitely something to consider. Let’s go ahead and listen to the next question and I’ll give you my answer. [00:20:22] Marco: Hey Scott my name is Marco. My question is about Google Ad words. I would like to know if there is anything on your blog that talks about Google Ad words because right now I’m not in the buy box with my product on Amazon and actually I don’t want to lower my price. I would like to get started with the Google Ad words, so yeah. This is my question thank you very much. Ad words is Google’s ad platform. Honestly it’s harder to use than Facebook Ads by a long shot and I think anyone would agree with that that’s ever worked in ad words. My thing here is I would go after Facebook ads, I would dial them in. If all you’re looking to do is drive external traffic, to your listings I would not drive it directly to the listing by the way. I would build an email list and then drive it to the listing page after I’ve qualified them or if you do want to drive them over to Amazon I would suggest that you drive them to your store page because this won’t then hurt your conversions on your listing. If we drive them directly from… We call that like cold traffic. They are traffic that’s never seen or heard about you or your product or your business and all you are doing is asking for a sale, your conversions are going to be lower, period. Now because of that that’s also going to drive traffic to that listing and then not turn into a sale. Amazon is going to also look at that as a bad thing and then they’ll probably going to hurt your ranking or they’re going to take that into consideration when they’re looking at your conversion rate and how many people are landing on your page and buying and not buying and all that stuff. My suggestion is go Facebook ads or go influencer marketing by going out there and finding a Youtube channel, an Instagram channel, even a Facebook group or a page that’s already existing that would be in line with your product. That’s what I would do but my first suggestion would be I would do the contest model where I would build an audience in that market related to your product and get a lot of buzz around that. [00:23:07] Scott: Build that email list and then send them through we call like a little a three day sequence where we actually let them know about an upcoming special and then there is a deadline to that special. That can be found at if you haven’t watched that yet I would say definitely go check that out anyone listening too by the way and that could be found at theamazingseller.com/buildlist. That will take you there and it will lay everything out for you and it will talk about Instagram and Facebook ads and that’s really what we’ve done in this new brand. It’s been awesome and it works so well and I just had a conversation the other day, I’ll add this in that I had a conversation the other day where actually I had a coaching call. One of our winners from the 400th episode I went ahead and said if you tell your story in the Facebook group we’ll go ahead and we’ll pick two winners. We’ll do a 30 minute coaching call and actually it went for about an hour, but because it was awesome. We totally loved doing them. Chris Shaffer was on with me and we had a really great call with Ryan and it was just great. We were talking a lot about… He’s already launched and all that stuff. We were talking a lot about the leverage of a list and not just making the sale from the list and this is what I want you to really take away from this. Marco this is really for you but it’s also for anyone else listening that is thinking, “I want to build a list so I can just drive sales.” It’s more than that. When you have that list and this happened to us where we sent out a piece of content to that list and then they shared that content in a bigger group than ours. We sold over 180 units in one day because of that and that’s what happened. [00:24:57] Scott: You need to look at not just the sale that can come from that email subscriber. You need to look at that email subscriber is a person that has the ability to share content or your product in a group without you needing to do it. We actually have I think it’s about six people right now that are like die hard loyal fans and they share it in all of the bigger groups for us and we don’t have to do it. If so some reason their post get taken down or the admin says you can’t post that in there it doesn’t reflect us as the brand because we didn’t do it and we didn’t really ask them to do it. We just said, “Hey, you know what here is an offer or here is a tutorial on how to use this. Hopefully it’s helpful.” Then they’ll share it. A lot of people like I said they look at just the money brought back from that email subscriber. I want you guys to remember that there is more to it than that. Then when you start to shift the mind the mindset on that it changes everything. Again, I just kind of go back to your original question because it’s about driving outside traffic is really what you’re asking. I wouldn’t do ad words right now. That doesn’t mean I wouldn’t do it in the future, just right now I think Facebook ads is going to be a better option for you and anyone else listening. Hopefully that answered your question, hopefully I gave you a little bit of direction and keep me posted. Let’s go ahead and listen to one more question. I‘ll give you my answer, we’ll wrap this up and you guys can get rocking and rolling into the weekend what do you say. Let’s do it. [00:26:27] Nick: Hey Scott, this is Nick. I love your podcast I’ve probably listened to about over 100 episodes just in the past month since I discovered you. I wanted to say thank you for your inspirational message. I’ve heard you mention The Compound Effect before the book by Darren Hardy and it’s that one inch at a time mindset that gets us to reach our goals and go towards our ‘why’. I just wanted to thank you for again your inspirational message. Question, so I have a question about Amazon’s inventory placement program. I’ve not really gotten to the point where I’ve quite launched my product yet and I actually two or three in the pipeline. One of them is more of a heavy product about eight pounds. My understanding in that program would be maybe that it would be more beneficial for possibly some of the larger products where multiple fulfillment centers maybe more costly from a shipping or tracking standpoint especially products on pallets and things like that. The other products I’m interested in are more falling into small and light category. I was wondering what your thoughts were. I haven’t heard it on a previous podcast that I’ve listened to so far. Hopefully it’s not a repeat question but I’m just interested on what your thoughts are for when the inventory placement program is beneficial and appropriate to use. Thank you and lastly I’m going to send you a graphic that explains how thankful I am for you. Hopefully you can look at that in your email, thanks Scott. [00:28:03] Scott: Hey Nick, thank you so much for the question and great radio voice too man you might want to go into radio. You’ve got a good little radio voice there, sounded awesome. Good audio. So all right cool, so you are an official binge listener. You just said you listened to 100 episodes really fast. Congrats on that and I’m hoping that that wasn’t too much Scott in your ear that could have been. I apologize if you are sick of me by now, but it’s sounds like you’ve gotten some value. It sounds like you are on your way to launching. The question really is should you use the feature inside of Amazon where you can send your inventory to one location. As of right now the time that I’m recording this, I believe it’s 30 cents additional per SKU. That if you want to send it to one location, it’s 30 cents additional per unit. Now here is the deal they’re still going to ship that product somewhere else. The advantage for you is that you’re going to ship it to a closer location most likely from where you’re located. Your cost shipping into Amazon will be less, so you’ll probably make that up with the 30 cents, so not a big deal. The downfall is like I said they’re going to ship it or you’re going to ship it to one of their distribution centers. Then from there they’re going to ship it out to their fulfillment centers. Some people don’t realize that but Amazon has distribution centers and then fulfillment centers. What’s happening is your inventory is being sent in there and then it’s going to sit there for a little bit and then they’re going to say, “Okay, we’re going to break this up. We’re going to take these 100 units we’re going to take a third of them and send them here, a third of them send them here and a third of them send them here.” That’s what they’re going to do and then you may get maybe a handful of yours that get checked in right away and then you’re going to have wait on the other ones. [00:30:05] Scott: We’ve had it actually where sometimes it takes longer, a lot longer when they do that on some of those ones that they’re shipping just for whatever reason. Maybe that truck broke down or maybe whatever something happened maybe at the warehouse, who knows. There are some advantages to doing the sending in the product to one facility, but I also believe that regardless they’re going to break it up anyway. If you’re saying to yourself you’re doing this because you don’t want them to break it up. They’re going to break it up anyway because I don’t know about you guys but I’ve been buying stuff from Amazon and generally I’m seeing that I can get it either the same day or the next day. It’s usually no additional cost. They’re doing this because they want that to be the norm. I’ve actually shopped recently and I’ve looked for the ones that say I can get it next day or maybe even sometimes the same day depending on when I order it. If I ordered something in the morning at 9 o’clock I’ve got a chance to get it at 5 o’clock on certain items but that item needs to be in a warehouse that is close enough near me. That’s the difference and they’re building more fulfillment centers, more distribution centers so this can be normal. My thoughts on this are it’s up to you. If you don’t want to break your orders up and send three boxes here and three boxes here and three boxes here then pay the 30 cents at least that’s what it is right now as far as I know. Then just ship it to one location and you’re going to save a little bit on the one end of shipping it to a closer facility. Then you’re going to pay it on the 30 cents. Unless that’s changed that’s how it’s been but that’s your call. I don’t see a huge advantage in doing that. Honestly if you let them break it up and you send it to those different locations you’ll probably get checked in quicker. [00:32:00] Scott: That’s just my hunch because they’re going to have you ship it to a fulfillment center that’s closer so it takes less time to actually get checked in and be ready to sell. Anyway that’s my thoughts on that. Guys, I want to again thank you guys for submitting all of these great questions keep them coming. Stay active in our Facebook group over 50,000 people now in our TAS Facebook group. If you’re not part of that you’re missing out. There is a bunch of great people there, great community supporting each other, a wealth of information there. Head over to theamazingseller.com/fb and you can get hooked up over there. Again just maybe you’re just going to read through some other people’s posts there. People have already been where you’re going or where you’ve been. Yeah, that doesn’t make sense not where you’ve been where you’re going. They’ve been there is what I was trying to say. It’s a huge resource for you guys totally free too by the way. Then the last thing I’ll say here is I’ll just remind you guys if you are brand new and you’re listening to this for the first time keep coming back and do me a favor, subscribe to this on iTunes. If you subscribe to this you’re going to get notifications when we publish and which is going to be Monday, Wednesday and Friday. That’s the current schedule it has been for the past two years. Definitely go subscribe on iTunes and that way there you’ll go ahead and you’ll get this in your feed or on your iPhone or whatever device you’re using. Yeah, do that all right so guys that’s it that’s going to wrap up this session of Ask Scott. As always remember I’m here for you, I believe in you and I am rooting for you. Oh, I am so rooting for you but you have to you got to do something for me and you know what I’m going to say, you have to say what… Come on say it with me, say it loud, say it proud, “Take action.” Have an awesome amazing day, weekend, whatever time it is and I’ll see you guys right back here on the next episode, take care guys.